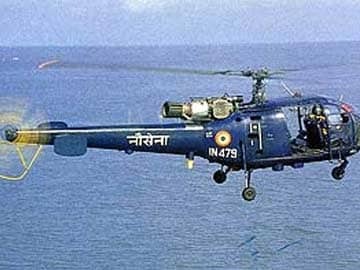 New Delhi: In a move to boost the fledgling defence manufacturing industry, the Narendra Modi government has decided not to buy Light Utility Helicopters from foreign manufacturers and instead, get them made in India. Sources told NDTV the government has decided to cancel the global tender to procure the helicopters and has asked the Indian industry to step in. The move, which could result in business worth Rs 40,000 crore for the Indian industry, is in line with the Prime Minister's "Make in India" mantra. It also marks a shift in the country's defence equipment procurement policy - the new focus being "Buy from India". Currently the Army and the Air Force use the vintage Cheeta and Chetak helicopters for reconnaissance, rescue and casualty evacuation. At least 197 helicopters will be required to replace the aging fleet. At least three Indian business giants - Tata, Reliance and Mahindra - have taken the initial steps to open military hardware production facilities in India. The Union Home Ministry is understood to have cleared a proposal from the Tata Group to produce helicopters in India. India is one of the biggest arms importers in the world and spends as much as 2 per cent of its GDP to purchase weapons from foreign companies. The decision to make the LUH here will give Indian firms assured orders and provide incentive for investing in research and development. The flipside is that the military will have to wait at least five years for the choppers. The government has also cleared the purchase of integrated anti-submarine suits for 11 frontline warships. Although the Navy has been steadily adding warships to its fleet, these are vulnerable to submarine attacks since they do not have the Active Towed Array Sonar, or ATAS. Attached to the rear of ships, the ATAS is the key weapon to detect submarines. The instrument, which is now being developed by the Defence Research Development Organisation, is likely to cost the exchequer Rs 1,770 crore. Besides, in a carefully calibrated move to send a signal to the United States prior to the Prime Minister's scheduled visit in September, the Centre also cleared the purchase of 15 Chinook and 22 Apache attack helicopters from the US at an estimated cost of $2.5 billion. The Centre also cleared the long-awaited mid-life upgrade of the six submarines, which would be carried out in Indian shipyards and is likely to cost a whopping Rs 4,800 crore.